Up to 2,000 emails per day! Create email campaigs, track, and measure with easy-to-use tools that live inside your Gmail! MailKing is built specifically to work with Gmail and G Suite email accounts. Once you’ve installed the Chrome extension, you can send build email campaigns with just a few clicks—directly from with Gmail. There is no need to log into a separate email service to manage your broadcast emails. The email messages are sent directly from your Gmail account. See higher open rates since each email you send will come directly from your Gmail account, instead of from a third-party account on your behalf. A library of email templates is available for you to use for free. You can also design and save your own template for future use. The templates are fully compatible and integrated with HTML Editor for Gmail. And we’re adding new templates all the time. MailChimp email templates are awesome. They’re easy to use. They’re reliable. They keep your branding consistent (logos, fonts, colors). 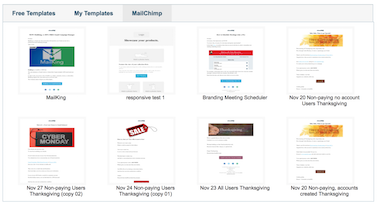 MailKing integrates with MailChimp and you easily use any of your MailChimp templates. Just select the template you want, add your message, and send as you would with any other email. Emails can be manually uploaded, or you can import a list of emails from a CSV or Microsoft Excel file. Merge tags allow you to dynamically add content to your email. Drop a merge tag into a campaign, and MailKing take care of the rest. Include something as simple as a subscriber’s first name, add social links, or even something more complex as salution in receipients native language. So you give your emails a personal touch by merging name, email address, or other data you have in a CSV or Excel file. 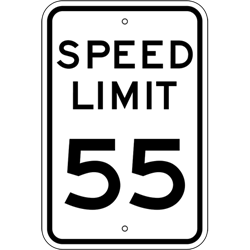 You have no limits when using our MailKing - whether you’re using the premium, or the free version. This way, you’ll be able to know exactly when your receipents has read your email, and you’ll always be able to take any necessary follow up actions. We spent a lot of time designing a great email tracking experience, and it includes never having to limit you so that you can soar to your fullest potential. 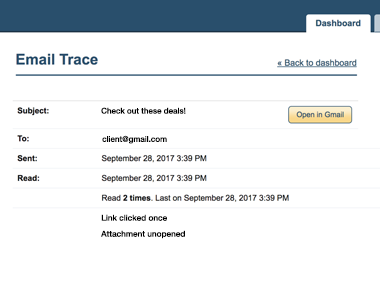 The unlimited link tracking feature is one of several email analytics tools that we offer for free. This tool allows you to know whether your recipient is interested in what you sent them, when you’re email tracking them. You can check when and how many times they opened your link, and be ready to follow up with the best information in hand. If they didn’t click on your link, you know they might not be interested in what you’re sending them. Easily duplicate an existing campaigns. You can copy the recepients, templates, or both. Perfect solution for sending slightly different emails to different mailing lists. With reminders, you can receive a notification if your email goes unopened for 48 hours. This gives you a heads up that the email you're using didn’t reach your intended recipient. It could be that the recipient is busy, is away, or worse, is ignoring your emails. Whatever the case, an email notification will alert you that your message has NOT been read. This knowledge lets you take the next appropriate steps because your current email recipient may not be your best point of contact. Provide an optional unsubscribe link at the bottom of your emails. If a recipient clicks the link, their email address will be placed on your MailKing account’s Supression List. We designed this tool with as few limitations as possible - including price limitations. Because of that, MailKing is 100% free to use for anyone using Gmail. By default, we’ll include a link at the bottom of all tracked emails that lets people know you’re using MailKing. If you prefer to remove the link, you can simply delete the link manually before sending your email. Or you can upgrade to the premium version of the tool, and we’ll remove the link for you by default. 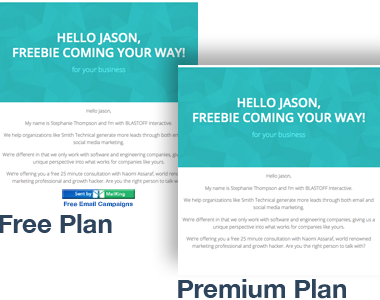 How do our customers use MailKing Email Campaigns and Mail Merge? Own a small business and want to keep your customers engaged? Collect their emails! Then send them regular coupons, sale announcements, or special promotions just for them. Maybe you have a large practice that caters to a small number of elite clients. If so, MailKing is a great way to send helpful, educational information so you’ll always be “top of mind” with your clientele. Run a service business where your clients only need your services on occasion? Send a monthly newsletter to all former clients to keep them engaged—and coming back to you the next time they need help. Send email campaigns to your list of candidates. Nurture their interest and keep them informed about new oportunities. Donors love to hear the impact their donations are having in your organization. MailKing messages are a perfect way to let them know the positive changes that are happening in your community as a result of their donations. If your company has less than 1,000 employees, MailKing can be an extremely cost-effective way to run your internal newsletter. Share success stories, post job announcements, celebrate promotions, retirements, achievements and more! Send simple and short email campaigns updating member of your organization about events, montly newletters, or maybe about fundraising.